Desulphurization Pump is the single-stage single-suction horizontal centrifugal type, mainly as a wet FGD scrubber circulation pump device to use,wide range, high efficiency and energy saving.This series of pumps with a compact X-type bracket, and other slurry compared to significant savings in floor space. 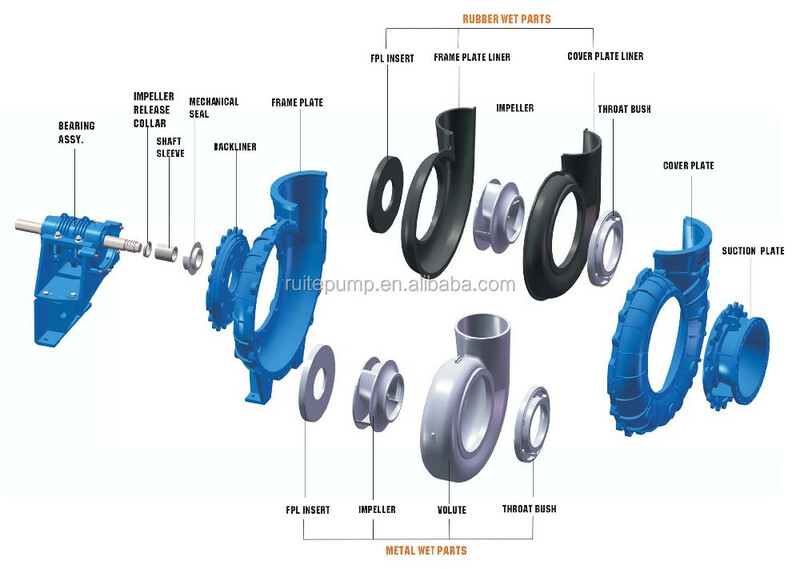 Meanwhile, the company pumps used for desulfurization system features a variety of materials, development of options. 1. Highly anti-abrasive: the wet parts adopt advanced hydraulic model, with technology optimized by CFD Performance Analysis to ensure reliability and high efficiency. 2. Centrifugal desulfurization pump adopts a double-case structure with replaceable hard alloy lining or rubber lining. 3. 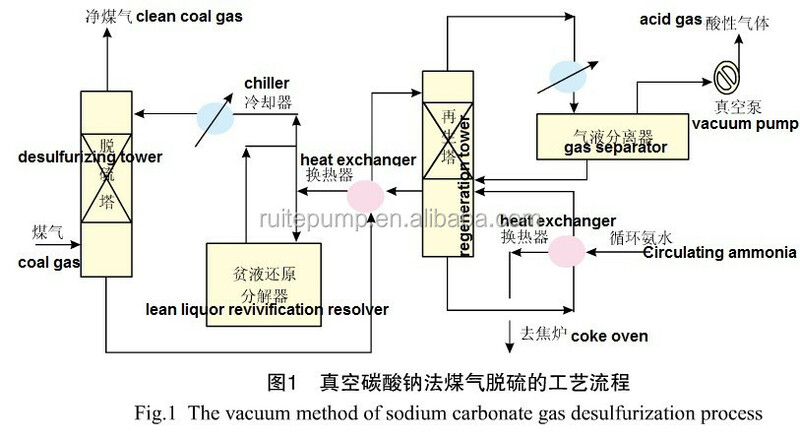 The desulfurization pump is with broad flow passage. 4. 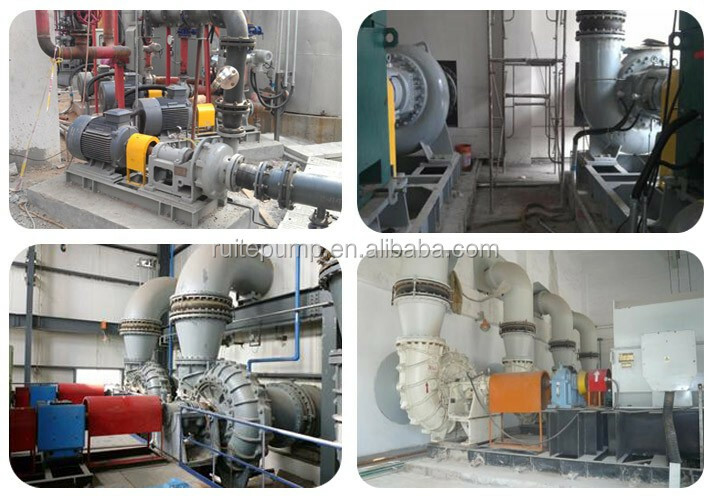 Delin centrifugal desulfurization pump is designed with robust construction. 5. The rear side disassembly structure facilitates an easy checking or replacement of impeller and mechanical seal, with no need of disassembling inlet and outlet line of the pump. 6. Highly effective rigid alloy impeller. 7. Oil lubrication and high volume bearing assembly. 8. Design of direct coupling of pump and driver. They are mainly used to handle slurry with smoke in absorption tower of electric power station,that is thermal power plant FGD (Flue Gas Desulfurization) Project. We have our own casting factory,so that we control the qaulity from raw material.We take sample to do chemical test before casting and do another test during casting to confirm the right percentage of all components.And casting,we would do physical test and spectrum analysis when and after assembling pumps.We do impeller dynamic and static balance,bearing test,roto test to test noise,vibration,shaft.Also we have paiting hourse to paint pumps. 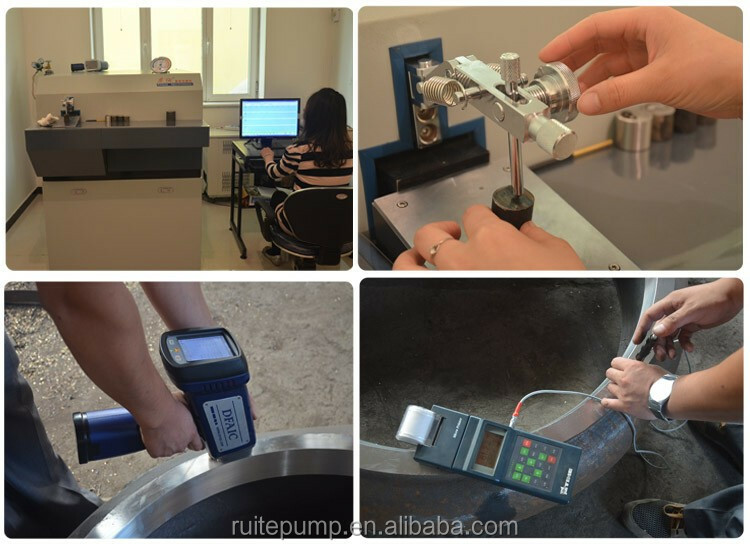 Established in 2003, Shijiazhuang Ruite Pump Co., Ltd. is a professional factory being engaged in the design and production of slurry pump, which has passed the ISO9001 certification. 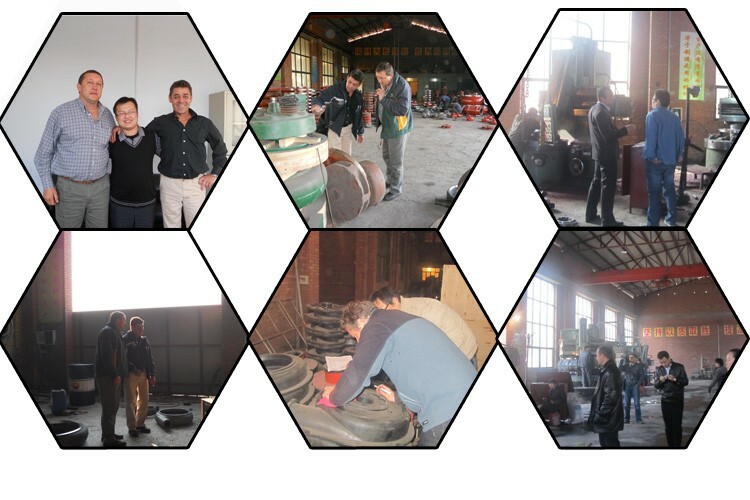 We are Professional Slurry Pump Manufacturers. 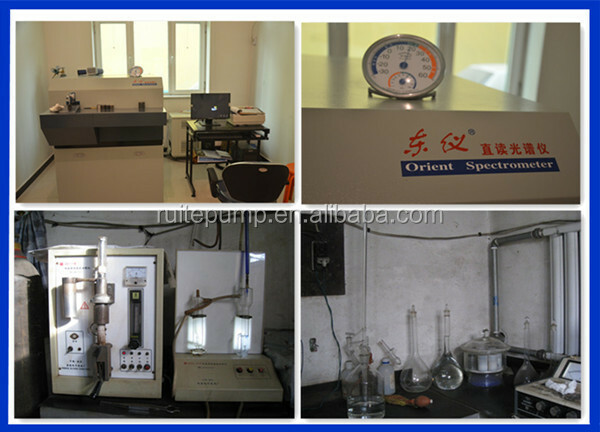 And welcome to our factory to see our product line and our pump quality. 2..we don't know which model we need ,can you help us ? 3.Is your price the best ? You get what you pay off. We supply high effiency good performance slurry pump. 4.What is the best delivery time?